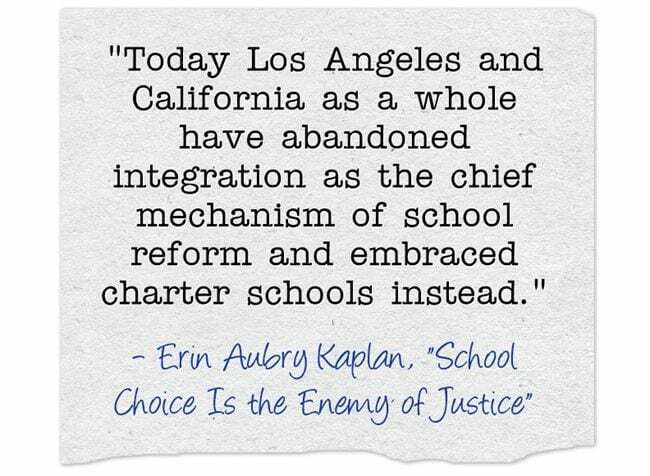 School Choice Is the Enemy of Justice is a powerful column in today’s New York Times, written by Erin Aubry Kaplan. If you want even more evidence to support her position, read The Hechinger Report’s Nearly 750 charter schools are whiter than the nearby district schools. It doesn’t help here in California when county Boards of Education, like ours in Sacramento, approve charters after they have been turned-down by local districts. And, then, those same county Boards of Education yell at district’s and claim they are not managing their money well – after they siphon money off from the districts, in addition to promoting segregation.